Quality joinery products to the building industry. . . . . .
All our quality joinery is manufactured to order on our local premises. Quality bifold door systems, custom made using the only the best timber and hardware, ensuring a functional and durable product. Timber is a natural, renewable and recyclable building material - a greenhouse friendly product which has a lower environmental impact than most other building materials, including aluminium. A&M Joinery has implemented systems to ensure that the timber we import is sourced from sustainably managed forests and environmentally friendly sources. By being vigilant regarding the origins of our timber, we actively participate in caring for the protected environments around the world. “One-stop-shop” for your joinery projects. 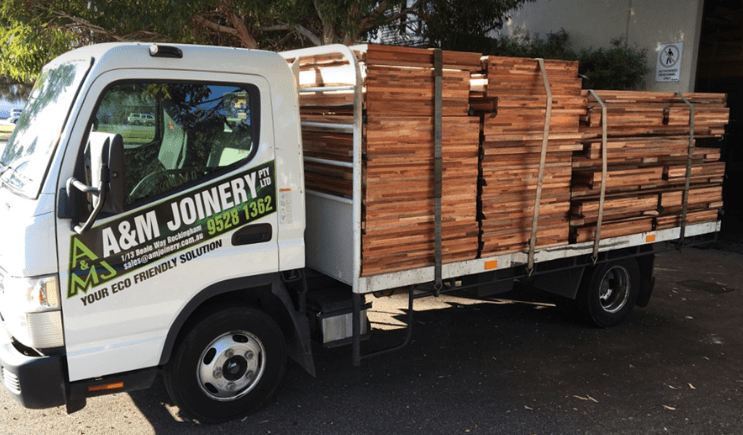 A&M Joinery also supplies general carpentry material and hardware for your joinery projects. Download our brochure to view products that are regularly supplied. Other items or timber species can also be supplied upon request.